Somehow I missed the announcement of the Skytrax World Airport Awards earlier this year. The awards are based on the votes of more than 9.8 million travelers from 100+ countries around the world. The survey of airport customers was conducted between July 2009 and March 2010. Canada's Vancouver International Airport was named Best Airport in North America. It ranked 11th in the worldwide rankings (Singapore Changi Airport was first), moving up from 22nd place in 2009. Coming in second and third for Best Airport in North America were San Francisco and Denver. The awards ceremony was held at the Passenger Terminal Expo 2010 in Brussels, Belgium on March 23, 2010. 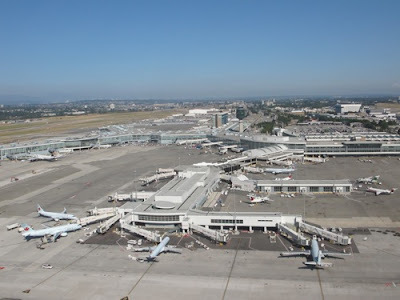 Photo of Vancouver International Airport by Sue Frause while aboard London Air Services helicopter from Sonora Resort.